Abu Dhabi: Indian expatriates in Al Ain celebrated ‘India Festival’ during the last weekend. 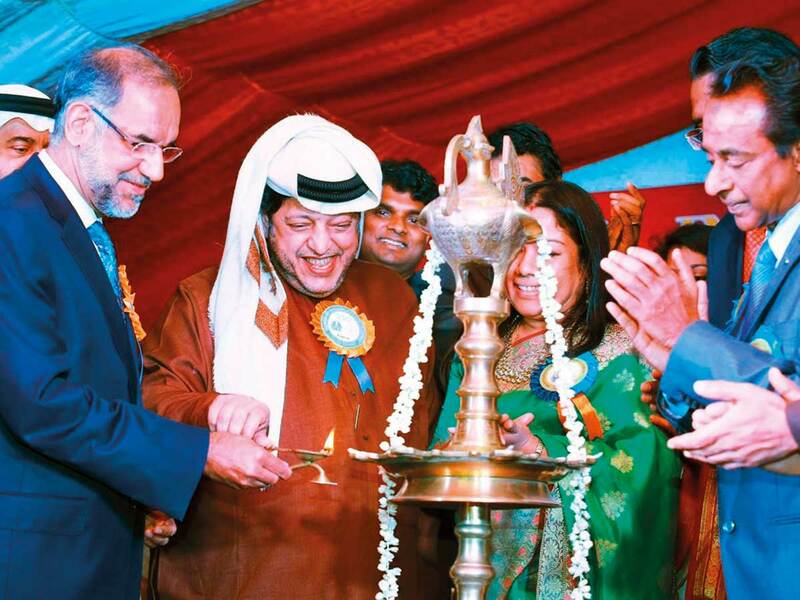 A flagship annual event of Indian Social Centre (ISC) Al Ain, the three-day festival held from February 7 to 9 offered a wide variety of art, entertainment and cultural programmes, according to a press release. Shaikh Saeed Bin Tahnoun Bin Mohammad Al Nahyan inaugurated the event on Thursday in the presence of Navdeep Singh Suri, the Indian Ambassador to the UAE. The ISC designated this year’s theme to “Year of Tolerance” as an expression of gratitude to the UAE government and Rulers for their continuous support to the Indian community and its socio-cultural activities, said Dr Sasi Stephen, president of the ISC. Jithesh Purushothaman, general secretary of the ISC, said the festival showcased India’s rich cultural diversity along with Emirati culture and heritage. An exhibition displaying products and services of various sectors such as education, information, industries, trade, tourism, entertainment etc attracted many visitors. Cuisine from various parts of India drew crowds to the food stalls in the exhibition. Many among an estimated 10,000 visitors won several prizes in the raffle draw held on the final day. Around 150 artists from India and UAE performed various art forms and enthralled the audience. Spot quizzes and fun games also entertained the visitors, especially children. Established in 1975, the ISC Al Ain is the only registered organisation catering to an estimated 50,000 Indian expatriates living in Al Ain. A 17-member managing committee elected by the members governs the centre. The ISC offers various community services, including the Indian Embassy’s consular service, BLS centre for passport and visa services, distress relief support to the needy, support for repatriation of mortal remains to India etc.